A Tribute To Robert Ashley, presented by New York based baritone Thomas Buckner. One of the most original minds in new music, Robert Ashley reinvented opera and the relationship of words and music. New York based baritone Thomas Buckner, accompanied by members of sfSoundGroup, will perform some of the many works Ashley composed especially for Buckner to sing in a concert setting during the more than thirty years he sang in Ashley’s operas. 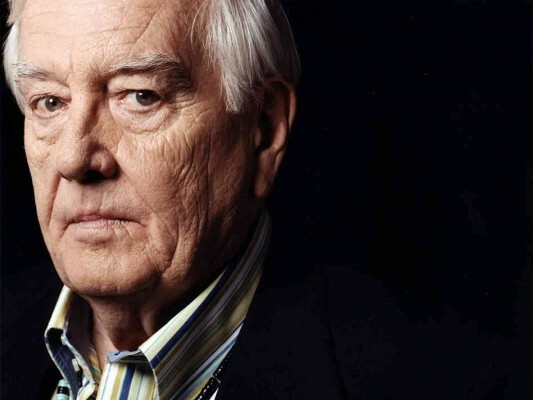 ROBERT ASHLEY (1930-2014), one of the leading American composers of the post-Cage generation, is particularly known for his work in new forms of opera. In the 1960s, during his tenure as its director, the ONCE Festival in Ann Arbor presented most of the decade’s pioneers of the performing arts. With the legendary ONCE Group, he developed his first large-scale operas. Along with Alvin Lucier, Gordon Mumma, and David Behrman, he formed the Sonic Arts Union, a group that turned conceptualism toward electronics. Throughout the 1970s, he directed the Center for Contemporary Music at Mills College, and produced his first opera for television, the 14-hour Music with Roots in the Aether, based on the work and ideas of seven influential American composers. In the early 1980s The Kitchen commissioned Ashley’s Perfect Lives, the opera for television that is widely considered the precursor of “music-television.” Stage versions of Perfect Lives, as well as his following operas, Atalanta (Acts of God), Improvement (Don Leaves Linda), Foreign Experiences, eL/Aficionado and Now Eleanor’s Idea toured throughout the US and Canada, Europe and Asia during the 1980s and 1990s. A new group of operas was begun in 1999 when Kanagawa Arts Foundation (Japan) commissioned Dust, which was quickly followed by Celestial Excursions and The Old Man Lives in Concrete. He wrote and recorded his performance-novel, Quicksand (released in novel form by Burning Books). And his final opera, Crash, was completed in December 2013 for premiere at the 2014 Whitney Biennial Exhibition.